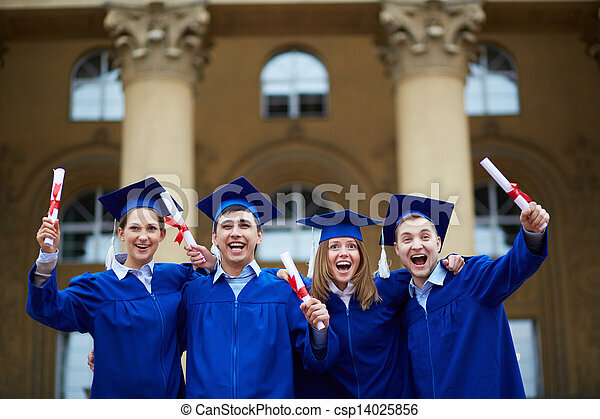 Graduation excitement. 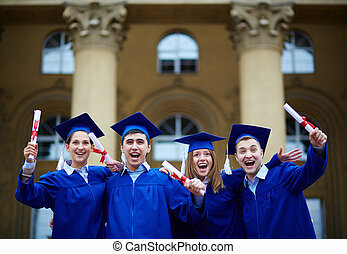 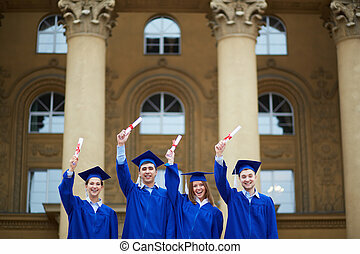 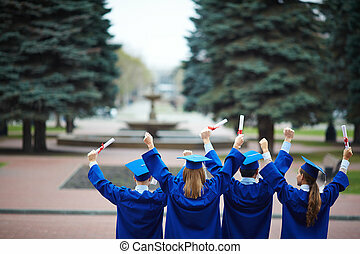 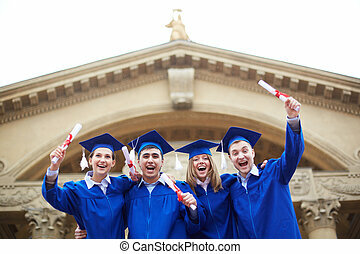 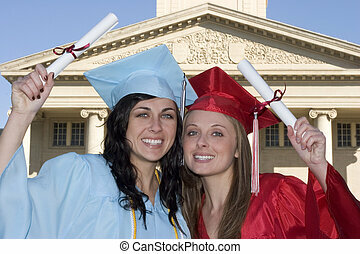 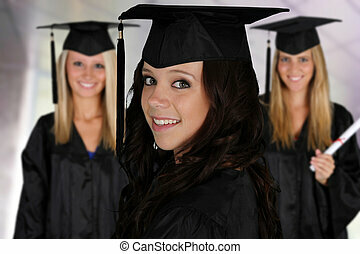 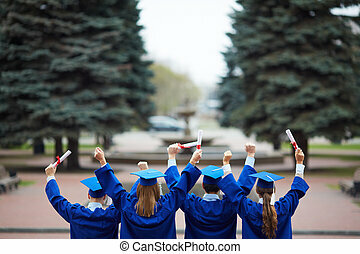 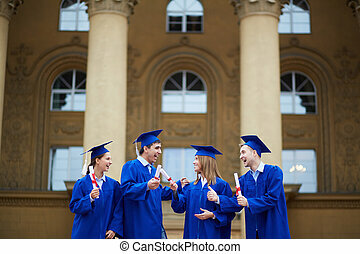 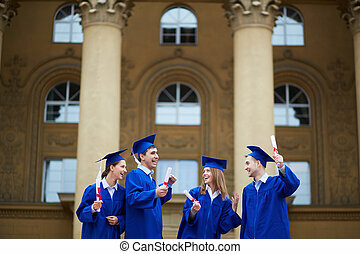 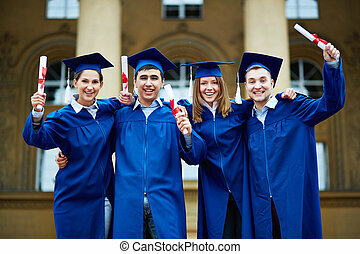 Group of smart students in graduation gowns holding diplomas. 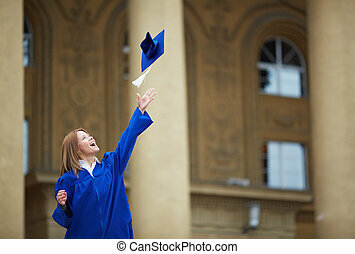 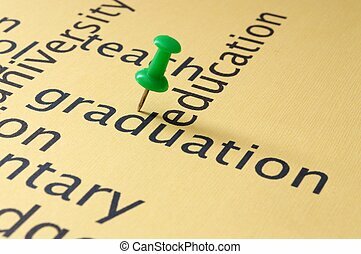 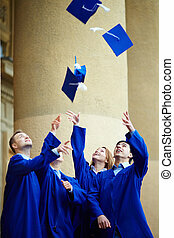 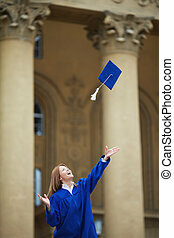 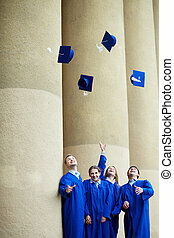 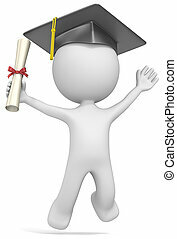 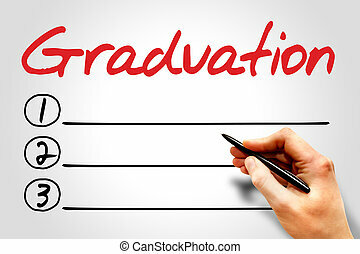 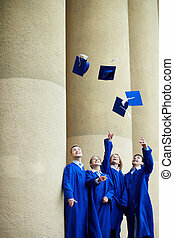 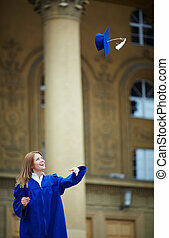 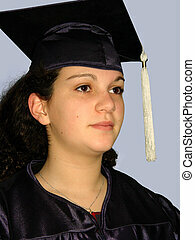 Dude the Student with hat Jumping of joy holding diploma.